We welcome new private/ independent, Denplan and NHS patients to the practice ( please note NHS places are currently limited). What treatment is available under the NHS? 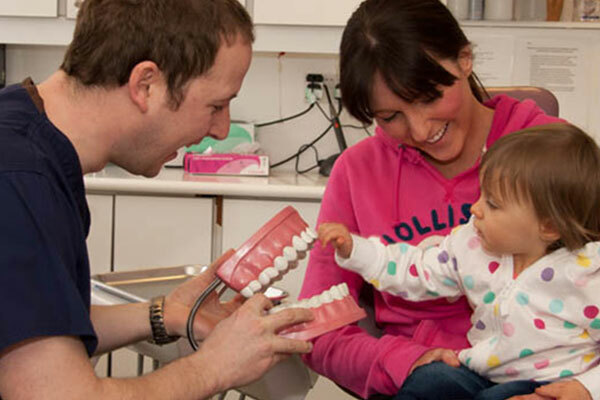 All the treatment necessary to achieve and maintain good oral health is available on the NHS. As a private patient you can expect The best dental care from a team who have a passion for what they do. Invisalign uses a series of clear aligners which are custom made to fit over your teeth. These gently provide the force required to move your teeth into the correct position. On my first appointment here with Ed I was astounded by the amazing level of care I was given! I cant speak highly enough of this practice! I joined a few years ago with horrendous Dental phobia but the dental team have built up my confidence. Thanks to all the team for squeezing me in today for my sore tooth, always professional, from receptionists to nurses and dentists.